Protein from fish and seafood is a major constituent of the diet of the world, however due to overfishing, the wild population of fish and other seafood in the lakes, rivers and oceans of the world has declined dramatically, in some cases to less than 2% of their pre-industrial fishing levels. This has lead to a general decline in food availability and a commensurate increase in the price of fish and seafood. 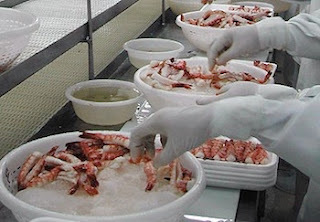 An increasingly popular way to overcome the shortage of seafood is through aquaculture. An increasingly popular way to overcome the shortage of seafood is through aquaculture. 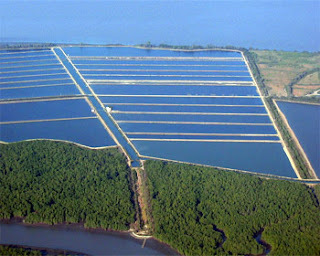 Aquaculture is the process of cultivating aquatic organisms such as fish, prawns and other seafood in controlled conditions so that their growth can be monitored and they can be harvested at the optimum moment with the minimum of loss. Compared to fishing, this activity allows a selective increase in the production of species used for human consumption and it is thought that in Africa aquaculture now produces some 35% of the total fish production. Compared to fishing, this activity allows a selective increase in the production of species used for human consumption and it is thought that in Africa aquaculture now produces some 35% of the total fish production. Millions directly derive their income from the production and processing of fish, Yet the enormous potential to help feed and improve the nutritional status of the world’s rapidly increasing population is under realized and precious aquatic resources are under developed. As a result aquaculture is growing in popularity world wide and is the fastest growing form of food production in the world today and small scale aquaculture is providing a route out of poverty for many impoverished communities. …the risk of disease outbreaks in fish farmed stock is increased…., which in turn makes them more susceptible to bacterial and viral diseases. As in any form of intensive farming, the risk of disease outbreaks in fish farmed stock is increased. Intensive animal husbandry increases the stress levels in the animals being farmed, which in turn makes them more susceptible to bacterial and viral diseases. To control these diseases antibiotics have been used on a large scale, however this has given rise to other problems. Antibiotics are expensive and increase the running costs of an aquaculture operation, many pathogens are developing resistance to antibiotics due to overuse and in the Western world there is increasing resistance to the use of antibiotics in farming, farming also leads to decreased water quality in the area surrounding the farming operation, a situation which is particularly problematic in closed circuit systems where the aquaculture cages are not flushed out by naturally occurring currents and tides and instead water is recycled and reused. Dirty water is detrimental to the growth of aquatic organisms, increasing stress levels and increasing the numbers of harmful bacteria and viruses. 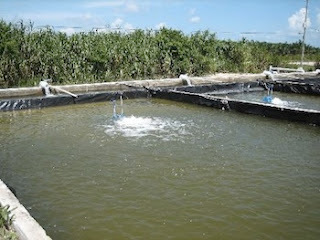 There is a simple solution to many of these problems in aquaculture! Using the latest research, Sannitree® has scientifically formulated environmentally-friendly treatment products which use the latest biotechnology to create natural biological solutions to a wide range of problems which can occur. Sannitree’s eco-friendly products comprise fully biodegradable, non-hazardous components and use safe natural micro-organisms to provide environmentally sensitive solutions to a wide range of sectors including aquaculture, manufacturing, industrial process, and wastewater and effluent treatment. A way to increase the resistance of fish and other aquatic organisms is to add pre and pro -biotics to their food. Pre and pro-biotics are added to feeds which it has been proved, in over 20 years of research, further improve the gut bacteria of the farmed species and lead to faster growth rates, enhanced immune systems and greater resistance to disease. The research in pre and probiotics has been utilised by Sannitree® to develop products which will increase the productivity and yield of any aquaculture enterprise.